Mr. Rodríguez-Ema concentrates his practice in government affairs, corporate law, and securities matters. Mr. Rodríguez-Ema also works on infrastructure and privatization projects. During the last two decades, he worked on all major privatization endeavors conducted by the government of Puerto Rico, including the sale of Puerto Rico Telephone Company. He is the former Chief of Staff under Governor Luis Fortuño's administration. In that capacity Mr. Rodríguez-Ema helped draft and execute comprehensive legislation to deal with Puerto Rico's economic crisis, coordinated the state budget (over $28 billion), and actively ushered and lobbied all budgetary and economic crisis legislation through the Legislative Assembly. During his tenure the number of government agencies was reduced (through consolidations) and he implemented major cuts in contracts and services to reduce a $3 billion deficit while avoiding a bond-rating downgrade. He also served as the Governor’s main spokesperson on all relevant issues as well as liaison with the House Speaker and Senate President and was in charge of the day-to-day supervision of all government agencies (over 120 of them). From 2011 to 2012, he served as Chairman of the Board of the Government Development Bank for Puerto Rico (GDB). From 1993 to 1998, during Governor Pedro Rosselló’s administration, he served as President of the GDB, where he managed a 400-employee institution as well as its subsidiaries, and participated in several high-profile government boards. During his tenure at the GDB, he was also Chairman of the government’s Privatization Committee which oversaw the disposition and sale of several major government-owned assets, such as the Puerto Rico Maritime Shipping Authority (Navieras). After leaving the GDB, Marcos joined Empresas Fonalledas as Director of New Business Development. In that capacity, he undertook the planning and execution of several major strategic projects for the company, including shopping centers, office buildings, and condominiums. Before joining McConnell Valdés, he worked as Senior Counsel at a major law firm in Washington, D.C. Prior to that he had established a strategic business consulting firm called PREDCO LLC, which provided clients valuable insight and financial, business and legal advice into the ever changing and challenging business cycles in Puerto Rico. He began his legal career in the corporate and banking division of a major law firm in San Juan, focusing on complex financial and real estate transactions for banking clients, including Royal Bank of Canada and Bank of Nova Scotia (now Scotiabank). He then worked in Drexel Burnham Lambert-Puerto Rico as Senior Vice President of their Corporate and Municipal Finance division, responsible for structuring and executing a variety of public and private transactions. He went on to manage the investment banking unit of Chase Securities Puerto Rico. Mr. Rodríguez-Ema is a member of the Executive Committee of the Puerto Rico chapter of the Republican Party and is a Special Advisor to its Chairwoman, Hon. Jenniffer González-Colón, Resident Commissioner of Puerto Rico. 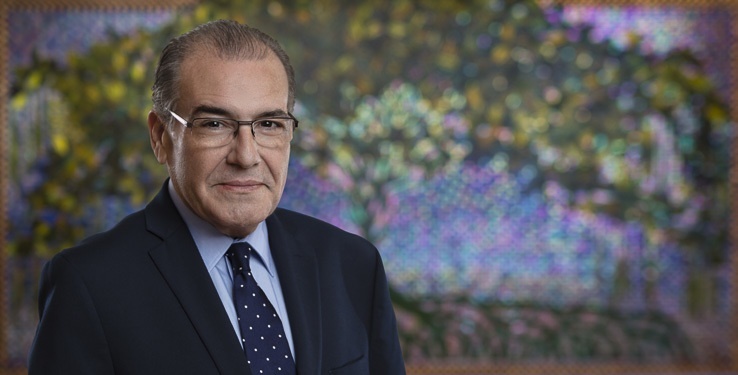 He has devoted significant time and his professional expertise to several not-for-profit organizations, including the Museo de Arte de Puerto Rico, United Way of Puerto Rico, Patronato del Palacio de Santa Catalina and Casa Grande Interactive. Puerto Rico’s Post Hurricane Situation: A Perspective from D.C.